A beautiful typographic wedding card. Any bride and groom will love to see their new married name in print. 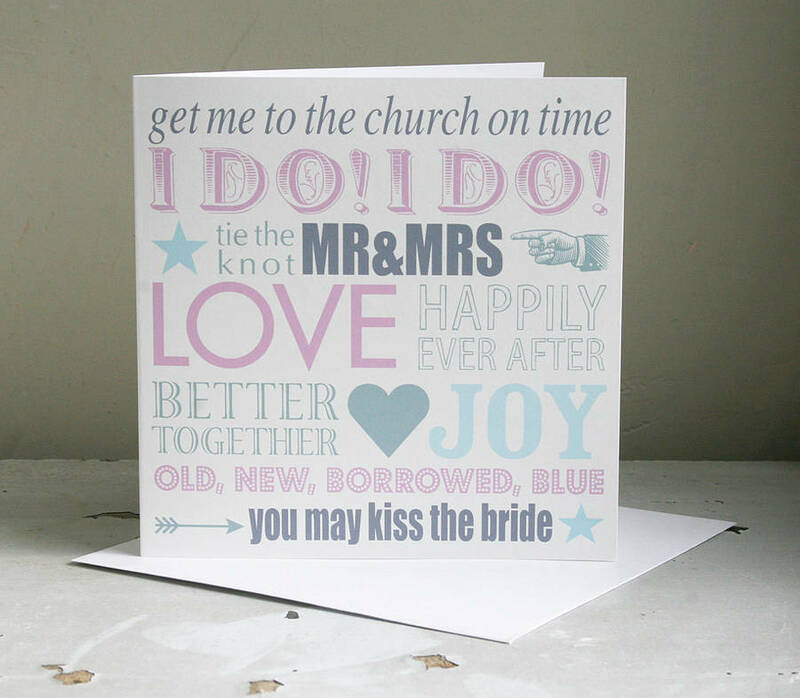 Using an assortment of fonts and a pale colour pallette, the bold typographical and vintage style of this card is sure to make it stand out from the others. See also the Personalised Wedding Countdown. 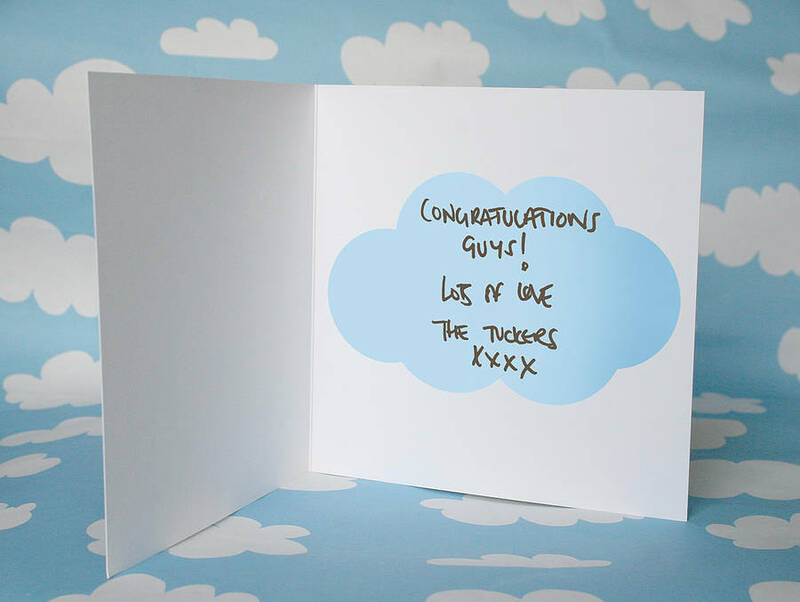 Add your own personal message to the inside of you card or maybe your wedding details for a bespoke invitation. Cards can be posted directly to recipient - just make sure you have entered an inside message and enter their address instead at the checkout. 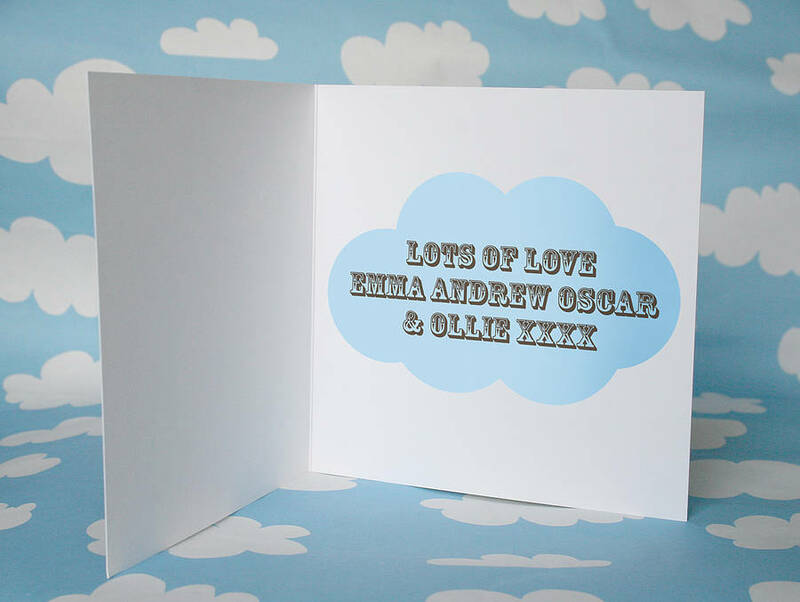 The card can be personalised to include the couple's new married surname. This will appear next to MR & MRS on the design. Designed and printed in the UK on heavyweight fine art paper with a quality envelope.